The Episcopal Church is part of the worldwide Anglican Communion with approximately 70 million members in 163 countries. We are a community of Christians united by our belief in Sacred Scripture that contains the essence of the Christian Faith. Through ancient stories, like modern, they connect us with Jesus and his teachings. - Sharing our resources and talents to build the Reign of God. We worship together with a book of prayers. All of the Episcopal services are found in the Book of Common Prayer. The current book traces its origins to the first Book of Common Prayer produced in England in 1549, after separation of the English Church from the authority of Rome during the Protestant Reformation. 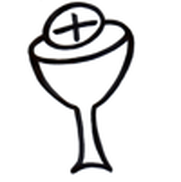 All services involve the participation fo the congregation and follow almost exactly the same essential forms. This means that on whatever Sunday and Episcopalian can go to any Episcopal Church y (with small local variations) participate in a worship service. We celebrate the presence of God in our service through water, bread, and wine. Our Lord Jesus Christ tells us that via water we are united with God. This is called Baptism. The Episcopal Church believes that baptism in whatever Christian denomination converts us into brothers and sisters in the family of God. (If you are not baptized and wish to be so, contact the church office to obtain more information. Jesus shared bread and wine with his first followers and is with us today in this familiar meal that we call Holy Communion. Through it we receive pardon for our sins and a strengthening of our union with God and others a we remember the life, death, and resurrection of Christ. Any baptized person is welcome to share this holy meal. We believe that there is one God who created all things, saves us from sin and death and renews us as Children of God. As Episcopalians we promise to follow Jesus Christ as our Lord and Savior. We believe that the mission of our church is the restoration of all people to unity with God and each other in Christ. We are enriched by His presence. While you continue on your faith journey, please remember that this is a place of rest, restoration, and encounter. If you are looking for a place to worship frequently, we welcome you. Beloved Lord, you have blessed us with the gifts of scripture, tradition, and reason, and with them you enable us to be closer to you as your children, be present with all those who seek to learn more about you and to be transformed into members of your faith community, carrying your message of love and peace to the world. Amen. In the Episcopal Church, we say both the Apostles' Creed and the Nicene Creed during our worship. Because we are a community of faith we declare our beliefs openly and in this way unite ourselves with Christians in the past, present, and future.